Ledge Stone Column Pedestal. Pedestals are available in many sizes to work with your selection of bowls we offer. Use the pedestals to elevate your Fire Bowls off the ground and enhance the over all look of your design. Concrete Fire Bowls Ledge stone Pedestals 15'' Squared. These natural looking 15'' X 15'' X 12'' Tall Pedestals will blend into your backyard landscape and add class to your Concrete Fire Bowls. Ledge stone Cap included with this Concrete Fire Bowls Pedestal. 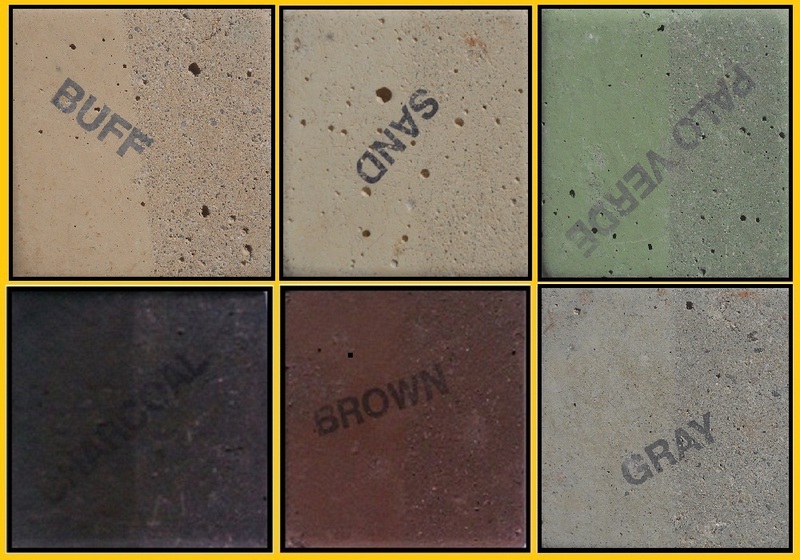 Note: These Custom Ledge Stone Pedestals are only available in color shown. Custom ordered this product can take up to 5 weeks for delivery. Bowl not included. 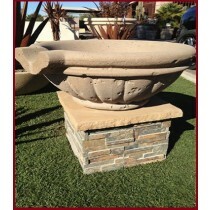 Concrete Fire Bowls Ledge Stone Pedestal 22'' Squared X 12'' Tall is perfect for that custom natural look. This Ledge stone Column comes with the Ledge stone Cap. You can stack these up to three (3) High. 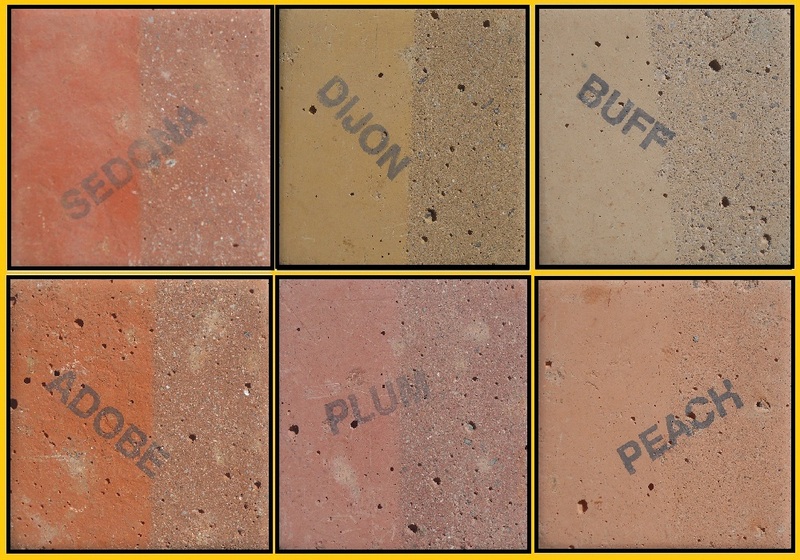 Order your Custom Concrete Fire Bowls Ledge stone Pedestal with your Concrete Fire Bowls. Note: This product is only available in this color. Custom ordered products this pedestal can take up to 5 weeks for delivery. Concrete Fire Bowls Ledge stone Pedestal 26'' Squared X 12'' Tall. 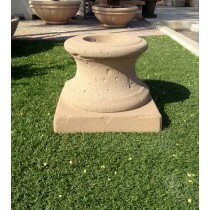 This Custom designed Pedestal is the natural look for that natural Concrete Fire Bowls you are ordering. 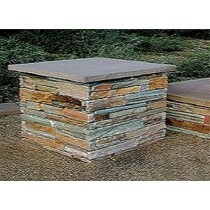 These Pedestals are stackable up to three (3) High and include the ledge stone cap. Order your Concrete Fire Bowls Pedestal today. Note: Custom ordered product and can take up to 5 weeks for delivery. The only color available for this product is what is shown. Concrete Fire Bowls Pedestal 21'' is the perfect match for our Round Concrete Fire Bowls. 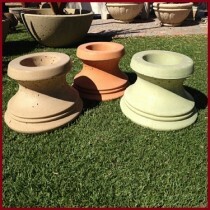 These Pedestals look great and come in the same color selection as the Concrete Fire Bowls for that perfect match. Concrete Fire Bowls 27'' Round Pedestal is the right choice for the Concrete Fire Bowl Round 27'' This Pedestal is available in the same colors as any of our Concrete Fire Bowls for that perfect match.